Our steel mesh cannot be topped! 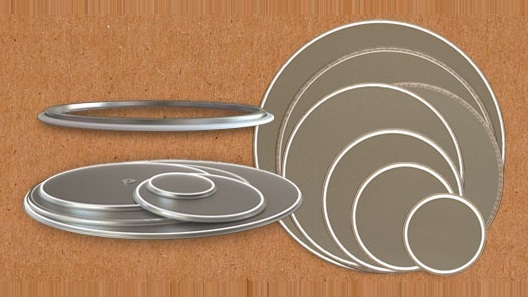 We boast a complete tool and die shop to build your prototype designs. Bring in a sketch and we’ll turn those sketches into a competitive quote and assist you in making your dreams into reality. We have trained our staff in order to serve you better. We bring only the greatest value to you the customer for your convenience. Our customers range from large to small, OEM to after-market; size isn’t an issue for us! Come and visit our website for more information! High quality products and outstanding customer service are the backbone of our company. Our equipment is custom built or modified to ensure the highest quality steel mesh possible. With over 30 years of experience, you can count on Universal Wire Cloth Company to provide a product that is built with your application in mind. Fill out a request for quote form to see if we can make a solution for you. Mesh and wire cloth made of standard steel is inexpensive, tough, temperature resistant and fares well over long periods of time. If uncoated, regular steel mesh should not be exposed to water for long periods of time or on a regular basis because it will rust and oxidize; stainless steel mesh is water resistant and ideal for these applications. If steel mesh does not come in contact with moisture or harsh chemicals, it will not erode or wear out easily. Useful within the mining, mineral, commercial products, furniture, construction, automotive, sports equipment, food processing and restaurant, kitchen, military and architectural industries, steel mesh is high in strength and handles stress, continuous use and heavy weight well. It is commonly found within manufacturing plants and warehouses because it doesn’t inhibit air flow. 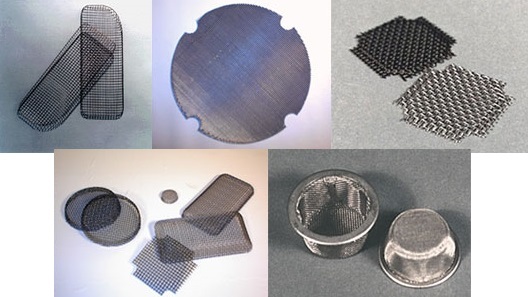 Fireplace screens, oil strainers, gutters, chimney caps, automobile grills, military equipment, heavy equipment transportation baskets, window guards, shaker screens, and gravel or stone sifters for separating minerals and coal are often made out of woven wire mesh. Chain link gloves worn by kitchen workers who operate meat slicers and work with knives are made of steel mesh, as are the large screens behind home plate on a baseball field. The filter screens are used as an alternative to glass in kitchen cabinets and insulation backing that helps keep it in place. Steel mesh is usually woven into a plain, standard square pattern. Perpendicular steel wires are interlaced over and under each other into a tight criss-cross pattern. Complex weaves, including Dutch weave, twilled, twilled Dutch, reverse Dutch and five heddle are sometimes used to increase strength or decrease the hole gauge. Larger gauge steel mesh is welded together at cross points. The wires are generally thin due to extrusion, where thicker wire is forced through a die of smaller diameter until the wire is of the desired thickness. Standard steel is often alloyed with metals like chromium and nickel, to resist staining, corrosion and to increase the metal’s ability to weld and form. To improve durability and corrosion resistance, the steel is often hot dipped in zinc, a secondary process known as galvanizing. Variations in the steel’s carbon content also alters and enhances certain properties. Steel with high carbon content has a better resistance to abrasion and impact, while low carbon content steel is easier to cut, weld and form. If steel mesh is used outdoors, it is often treated with a sealant or painted to prevent and slow the rusting process.